paismom Used these for my 3 year olds birthday party and they were very durable and absorbent. Very satisfied! 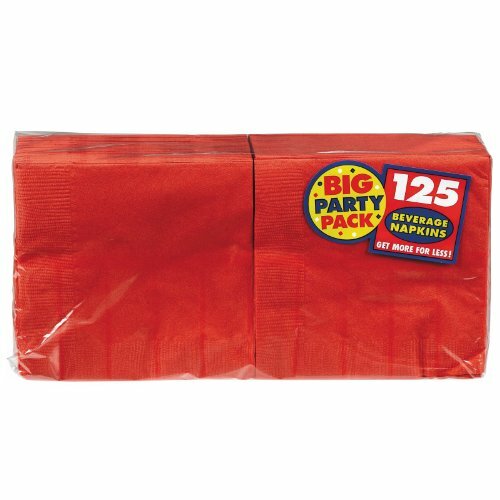 AMSCAN-Big Party Pack Beverage Napkins. Amscan's Big Party Collection of plates; napkins; cups and eating utensils is for the no-nonsense party thrower! 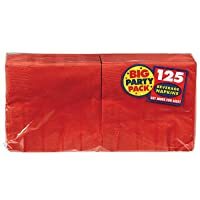 This package contains 125 beverage napkins: approximately 5 by 5in. Available in a variety of colors: each sold separately. Imported.